In the aftermath of the waves of discipleship programs that have swept over the church in the last 30 years, clergy, and laypersons alike are more confused than ever about what it means to be a disciple of Jesus Christ. What should a disciple of Jesus look and act like today? What is the relationship between discipleship and salvation, between discipleship and sanctification, between discipleship and ministry? How were disciples of Jesus different from other disciples in the ancient world? How did the early church carry out Jesus' agenda in "making disciples of all the nations"? In Following the Master, Michael J. Wilkins addresses these and many other questions that perplex the church today- not by offering another discipleship program or manual but by presenting a comprehensive biblical theology of discipleship. 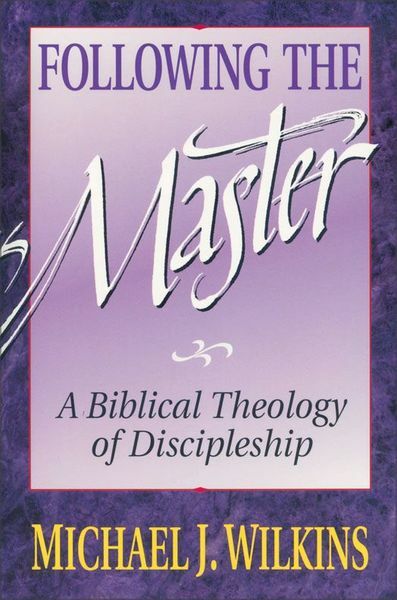 Following the Master compares other forms of master-disciple relationships in existence in the ancient Judaism and Greco-Roman world, traces Jesus' steps as he called and developed disciples, and Mediterranean world as it followed Jesus' command to make disciples. Following the Master lays the groundwork necessary for developing biblical discipleship ministries in the church, on the mission field, and in parachurch ministries. It is essential reading for all pastors, students, and Christian workers.